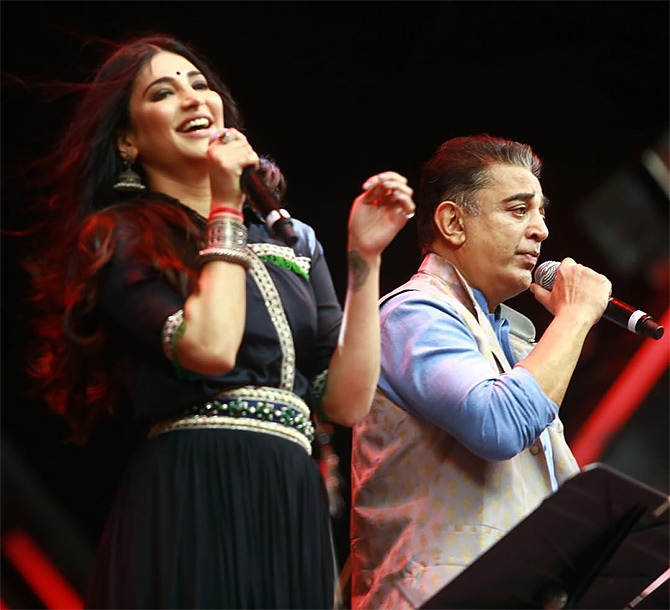 The father-daughter duo show off their singing skills. 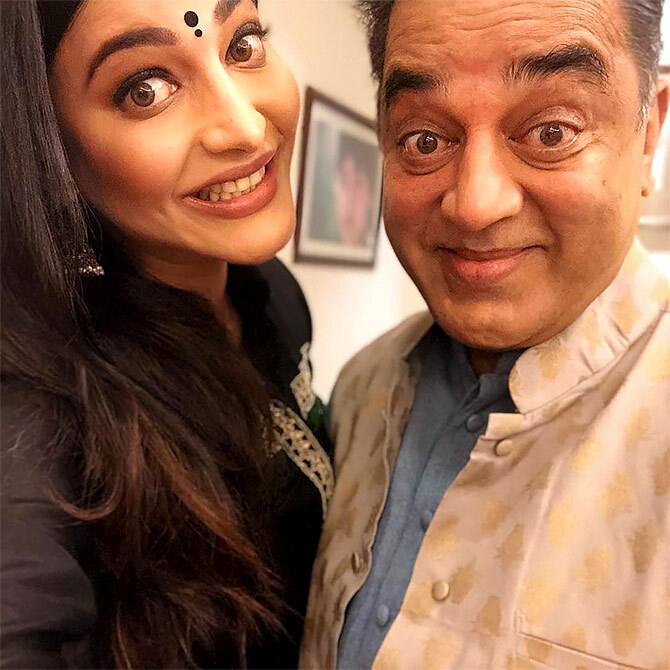 Shruti Haasan has proved her mettle both as an actress and singer. 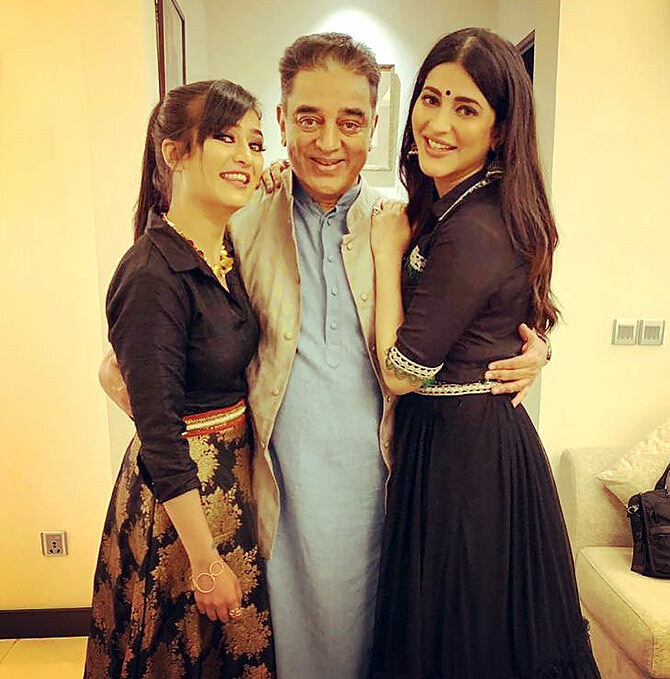 But did you know her dad can sing well too? 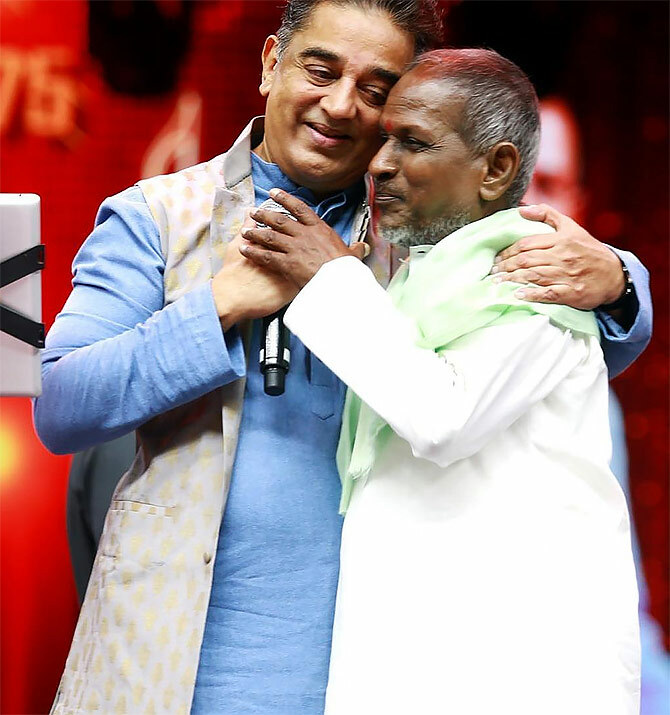 At Ilaiyaraaja 75, a concert hosted by the Tamil Nadu Film Producers Council to celebrate Ilaiyaraaja -- the musical maestro turned 75 last June -- Shruti and her father enthralled the crowd with their singing. 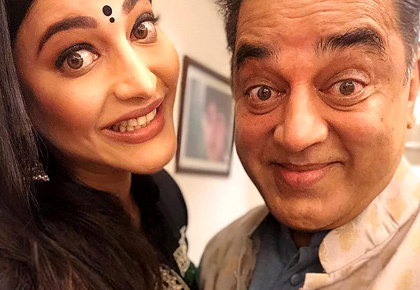 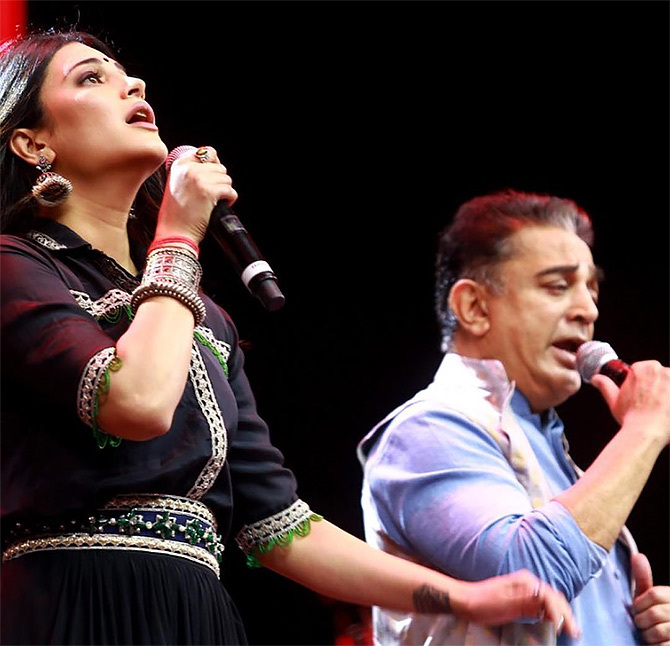 Shruti and Kamal Haasan had the audience cheering for them as they sang Ninaivo Oru Paravai from Sigappu Rojakkal. 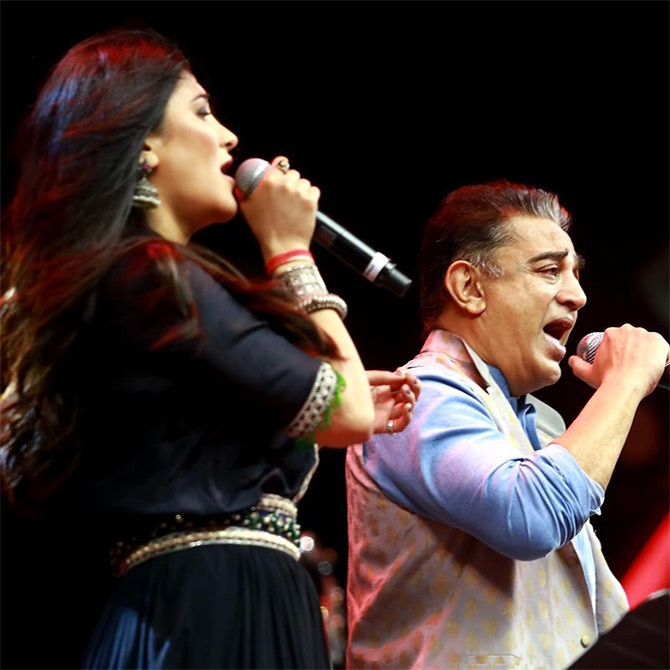 Later, Shruti took to her Instagram account and gave fans a peek into the concert.